hand forged solid metal candelabra. Copper patina on leaves. Client can custom order alternative finish. 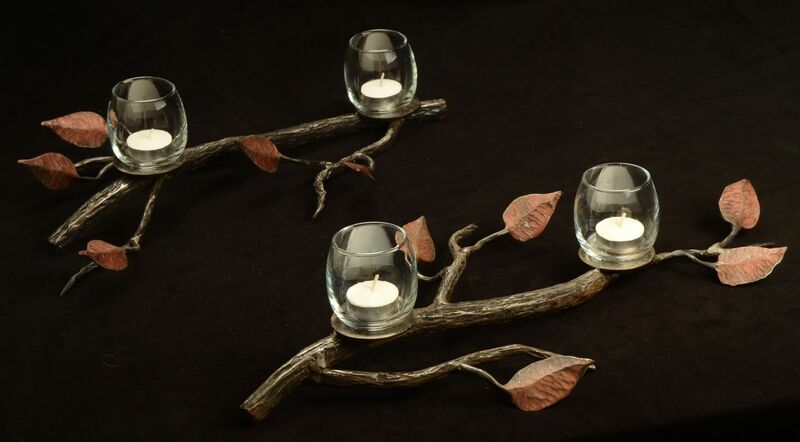 Glass votive candle holders.